When the deal where National Electric Vehicle Sweden (NEVS) buys the assets of Saab Automobile from the bankruptcy administrators was announced two weeks ago, the discussions with Saab AB and Scaina AB concerning the right to use the SAAB brand name had not been concluded. And one week later we got reports that there were disagreements concerning the right to use the brand name. And that this disagreement could possibly be a deal breaker. But now majority owner of NEVS, Kai Johan Jiang, has told Dagens Industri that NEVS wants Saab Automobile no matter what happens with the brand name. "Our risk assessment of the acquisition has been ongoing for two years and we have concluded that we will go through with the deal even if we for some reason would not get access to the SAAB brand name," Jiang told DI. "If we can use the brand name, it will of course be a huge bonus," he added. Since the deal was announced a lot of people have expressed their opinion on the future possiblilities for an all electric Saab. The acquisition has gotten both praise and criticism. To DI Jiang admits that it is a high risk project. "Sure it is a high risk project that I'm entering into. But Saab is a very fine company with a great ability for innovation and we have found an unique way to develop the company. Cars run on electricity is the future." And Jiang is sad that NEVS' ability to bring new life into Saab is being questioned. "Of course it saddens me, it hurts me deeply. But I will do all I can to prove that this will be a success." the bankruptcy administrators, and they disagree with Saab AB and Scania. The use of the SAAB brand name is reuglated by two agreements from the 1990ies. And the problem is that these agreements are now being interpreted different by the two sides. None of the involved parties would however make comments to Svenska Dagbladet, so it is impossible to know if this is just a storm in a teacup or a serious problem that can bring down the deal. Sources say that Saab AB got fed up with all the mess and uncertainty around Saab when Spyker owned the company. Reason being that many people around the world do not know the difference between the defense and aerospace company Saab AB and the car company Saab Automobile AB. And so people thought that also Saab AB was in trouble. To ensure this won't happen again, Saab AB wants a long term owner of Saab. And if Saab AB is reluctant to approve NEVS, then maybe they doubt if NEVS is in this for the long term, or the credibility of the business plan or the funding. I guess after this week's announcement that NEVS buys Saab, many of us are skeptical about future Saab products. Electric cars of today are not very versatile. They are mostly small but heavy, have a very limited range, long charge time and are very expensive. So it is easy to be doubtful to future Saab products. But the problems with electric vehicles will of course fixed. They will develop into normal sized cars with normal range and acceptable charge time. But this will take time. And the question is if Saab will be given that time by its owners and the market. For now, let us learn about how great Saab's electric convertible concept was perceived all the way back in 2009. Swedish Auto Motor & Sport tested the Saab zero emission convertible and liked it a lot. Below is a translation of their write up after the test drive. Saab 9-3 True Electric. In about one year's time, Saab can start selling electric cars that can be driven 300 km on one charge and that costs around 350000 SEK. The company Electroengine, located in Uppsala, is responsible for the flash of genius. You've read it before: bzzzzzzz, and then the electric car drives away! Zero emissions, zero excitement, zero reality in the world of car buyers - however, the maximum dream, weight and price. But this is not yet another test drive down the same line. Although I’m sitting in the first prototype the driving experience is so good that I would buy it directly. There is no feeling of drawbacks. Thomas Bergfjord is the technology brains behind the car. An entrepreneur who has been interested in electric cars for years, but for only a little over a year ago realized that the technology was ready for implementation. The breakthrough is the battery management. In a typical electric car you can only empty about 80 percent of the capacity in the battery pack. As a comparison, it’s like it always has to be ten liters of petrol left in the tank. In a conventional electric vehicle the battery pack provides no more capacity than what the weakest cell permits. When the batteries age, the capacity decreases severely. In a conventional electric car the battery maker have to work around 100 hours on matching cells with similar qualities. Think of it this way: the cells in a battery are individuals with different characteristics. In order to provide a battery pack that serves as a unit you have to find the batteries that match. If one or more cells in a conventional electric vehicle get damaged after a crash or an electrical fault, it is almost impossible to replace just a few battery cells. The entire package must be replaced. That’s expensive. Very expensive. When you charge a conventional electric car you can not fast charge more than to when the first cell reaches its maximum. Thereafter the charging gets slow and energy is lost due to heat. In a conventional electric car you need to put much effort - energy - to keep the battery pack at a constant temperature. Variable temperature weakens the performance according to this principle: the weakest cell is in control. But today I drive no ordinary electric car. According to Thomas Bergfjord all these problems are solved, thanks to a new approach to balancing and controlling the cells in the battery pack. The small company has filed twelve patent applications, and there are more to come. The strongest cells send their energy to the weakest. The production of the batteries is faster and cheaper because you do not have to add the 100 hours in matching the cells. The fast charging phase becomes longer because the strong cells will send the current to the weaker cells. Problems with varying temperature are reduced significantly, meaning that the batteries could be spread out on different places in the car. And you can replace individual cells. “The most important things aren’t that we can drive farther and that the batteries will be cheaper and faster to produce. The most important thing is that we can repair a battery pack. This means that second-hand car market can function and that leasing companies can be interested. A 100000 SEK brick that suddenly becomes worthless is the greatest danger for electric power”, says Christer Wikner who is the “businessman”. When I sit behind the wheel, it feels like driving any car, but actually a bit better. The silence is beautiful, but it is the character of the car that seduces me. A gearless car is wonderfully pleasant, no shudder, just a steady flow. It is said that the electric engine provides full torque from start and the torque on this car is said to be unbelievably 2400 Nm. But there are no crazy burnouts, but rather a dignified suction that increases with the speed. The explanation is that the effect is adjusted so that it will feel like a “normal” car. Of the 335 horsepower, I can only use just under half “because this is the first prototype”. Typical! But the possibilities you get with two separate engines is extremely exciting. “For the chassis guys this is a pure gold mine, the front axle can easily be locked at low speed for better traction and it is no problem to apply more torque on the outer wheel, which would make the front wheel drive car wonderfully controllable when cornering - if you like,“ continues Thomas. The curb weight with batteries for 300 km of driving is the same as that of a petrol car, and it’s noticeable. Or rather, the car feels smooth and balanced as any Saab convertible. The regenerative engine braking can be programmed at will, and the batteries can be placed low in the car, which makes the least “damage” so that the car's balance is not affected. Another fun feature is that the energy consumption is virtually the same at 110 km/h when driving an electric car with 150 or 350 hp. But why does a small company like Electroengine choose to work with the “high-risk partner” Saab, and where is the money coming from, and what about the charge time and can this project turn into real cars? The money for the company is so far coming from the founders who have had good support from Almi in Uppsala, but they hope for government aid money. The bureaucracy works slowly. With a standard power outlet you can charge to 15 km per hour. A three-phase power outlet and 16 amps gives a little less than 100 km per hour. If you connect it to 32 amp you can charge 200 km in one hour. Christian von Koenigsegg has test driven the car and likes it. He is thinking fondly of electric Koenigsegg cars and believes that Saab should go directly to electric cars without first taking the road through hybrids - even though those cars also may be built. What can I say? Sure it sounds almost too good to be true. But this feels more down to earth and likely than for instance the concept bluff Quant on the Geneva motor show. Which large inventions didn’t sound unbelievable when they before they became reality? NEVS to co-operate with Mahindra? According to Swedish buiness news Dagens Industri, Saab's new owner National Electric Vehicle Sweden (NEVS) is looking for a car manufacturer to start a co-operation. This car manufacturer could be Mahindra & Mahindra of India. Several weeks ago there were whispers that the "Japanese-Chinese" electric car consortium and Mahindra were in talks regarding Saab. Now Dagens Industri reports that Mahindra could get the responsibility of completing the development of Saab's Phoenix platform. This would probably mean that Mahindra will gain access to use the platform on their own vehicles. And this could explain why Mahindra in the end did not seem that eager to end up as owner of Saab. It is estimated that SEK 2 billions is needed to complete the Phoenx platform. According to Kai Johan Jiang, primary owner of NEVS, SEK 7 billion has been raised to develop and manufacture electric vehicles. In addition to Saab's own technology, it is also said that technology from Toyota will be used. Dagens Industri also reports that there are plans to continue manufacturing of "traditional cars" in Trollhättan. Cars with low CO2 emmissions. It is however not mentioned what make these cars will have. Who will sell the electric Saab cars? Yesterday Saab got new owners and from now on Saab is an electric car company. I have earlier asked how on earth Saab in the short run can manage to sell enough electric cars to turn a profit. And when the profits fail to appear, do the new owers have deep enough pockets to keep Saab alive? Now I ask who is gonna sell these cars? Yesterday NEVS revealed that their first car, an electrified Saab 9-3, will be launched at the turn of the year 2013. That means 18 months from now. Around mid-summer 2014, NEVS expects the production at Saab to reach a considerable volume. And in the long run, the production should reach maximum capacity, which means 150,000 - 200,000 cars each year. The main market for Saab electric vehicles will be China. China is the world's most-populous country and the world's biggest market for cars. It is also the world's third biggest country in square kilometers. And in this enourmous country, Saab has currently no presence and is a totally unknown brand. In order to make it big in China, Saab will need a well functioning distribution network and lots of dealers. And Saab needs time and lots of money to increase the brand awareness. So just who will be Saab's partner in China? Without a powerful partner, Saab does not stand a chance. What about the US and Europe? Here Saab had a well functioning distribution network based on hundreds of dealers. Some which had been with Saab since the 50s or 60s. But this network has slowly been crumbing away for the last 2-3 years. How much of it will be left when Saab's first electric car will be launched at the turn of 2013? And do the dealers really see a future in selling only one electric Saab car each week when they used to sell one turbo Saab each day? For now I will only ask these questions and will not try to give any answers. Mostly because I have no idea what the answers are, but also because today is only the day after NEVS bought Saab and I should probably give NEVS some time to address these issues. But as you probably understand, I am very sceptical to NEVS and its plans for Saab. But I am open to be convinced that this is the best option for a continued Life with Saab. On a press conference just now, it is being announced that the Saab bankruptcy administrators and the company National Electric Vehicle Sweden AB have reached a deal for the sale of the assets of Saab Automobile AB and its two subsidiaries Saab Automobile Tools AB and Saab Automobile Powertrain AB. 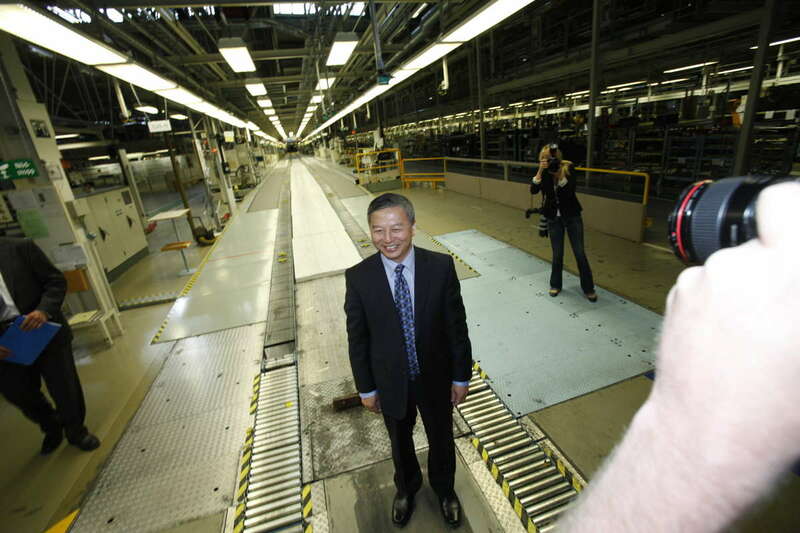 Saab's new owner, Kai Johan Jiang. Picture from TTELA. Saab Automobile Parts AB is NOT included in the sale. Saab Parts and NEVS have however reached an agreement. At the moment it is unknown what this agreement covers. NEVS has acquired Saab Property (including the part of the property company previously owned by Hemfosa), Saab Tools (except tools for the 9-5, 9-4X) Saab Powertrain and the Phoenix platform. NEVS has no interest in the Saab 9-5 and 9-4X. Both because GM has the rights and will not sell, and because the platforms are to heavy to be used for electric vehicles. NEVS's interest is in the rights to the current Saab 9-3. The sole focus of NEVS is on electric cars. NEVS has no focus on hybrid cars. NEVS has not bought Saab Parts, but has an agreement on co-operation with Saab Parts. NEVS will use knowledge and technology from Saab and other Swedish companies together with advanced Japanese electric vehicle technology to develop and manufacture premium electric vehicles in Trollhättan. Vehicles which will conquer first and foremost the Chinese market, but also the US market. NEVS has also access to Japanese electric vehicles platforms that will be used. Saab is a credible company to present new technology and new premium electric vehicles. The discussions concerning the brand name is however not concluded, which means that NEVS has so far not reached an agreements with Saab AB and Scania AB concerning the SAAB brand name. But NEVS is optimistic about reaching a deal. At least 200 engineers will be recurited at first in Trollhättan. 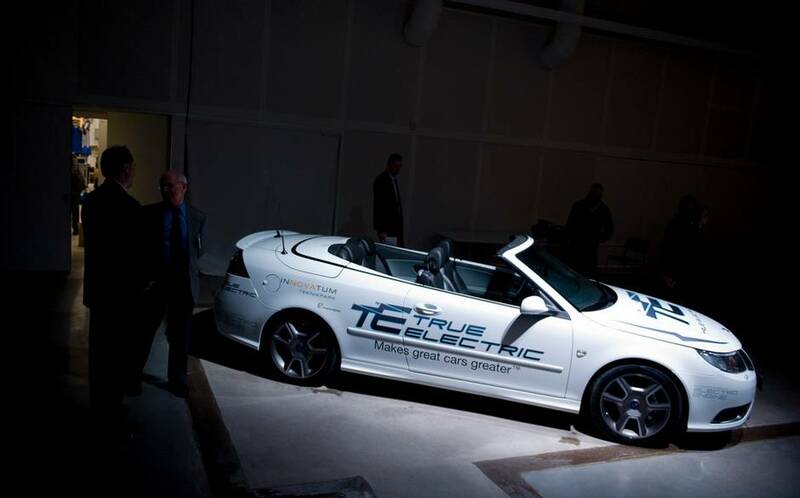 The first product, an electric Saab 9-3, will be launched on the market at the turn of the year 2013. Within two years of today NEVS expects the manufacturing in Trollhättan to reach considerable volumes. Long term goal is to reach the maximum capacity at Trollhättan, which is 200,000 cars each year. The largest owner of NEVS, National Modern Energy Holdings is registered in British Virgin Islands, has its base in Hong Kong and most of its business in China with 28 bioenergy powerplants and 9 under construction. The second owner, Japanese Sun Ivestments, is owned by private investors, companies (including listed companies) and banks. Sun Investments is focusing on commercializing and increasing sale of Japanese technology to electric vehicles. According to a press release form the Saab bankruptcy administrators, an agreement to sell the assets of Saab Automobile AB, Saab Automobile Powertrain AB and Saab Automobile Tools AB has been reached and the bankruptcy administrators have called a press conferense at 13:00 CET today. The buyer has however not been named. So get ready to exchange the turbo with a battery! The official receivers for Saab Automobile hereby invite you to a press conference in Trollhättan on 13 June 2012. The official receivers for Saab Automobile AB, Saab Automobile Powertrain AB and Saab Automobile Tools AB (Saab insolvency) hereby invite you to a press conference due to the conclusion of an agreement between the receivers and buyers of the assets of the companies. The receivers and representatives of the buyers will attend the press conference. Place: Saab Automobile AB, Saabvägen, Stallbacka Industrial area, Trollhättan (main entrance). We have heard it several times before, but I guess it is worth repeating: National Electric Vehicle Sweden (NEVS) is the favorite to acquire the Saab bankruptcy assets. This time according to sources of Swedish business paper Dagens Industri. But so far we have gotten no confirmation from the bankruptcy administrators or NEVS itself that NEVS is in fact the favorite or that a deal is close. "We can confirm that we are a bidder, and we hope to succeed in acquiring the Saab bankruptcy estate," Mikael Östlund from communication firm Springtime, which represents NEVS, told TTELA earlier today. One reason that no deal has been announced and NEVS is being careful not to say too much, could be the SAAB brand name issue. As reported here on Life with Saab many times, the use of the SAAB brand name and the gripen logo is regulated by a deal between Saab Automobile AB, Saab AB and Scania AB. So far neither Saab AB nor Scania AB have made any decision whether any bidder can use the brand name and logo. Saab AB has however met NEVS to discuss the issue. "We have met them and gotten information about what they are planning. We have gotten some information and we can use more information. It is also important to get answers to our questions," said Erik Ljungberg, head of communications at Scania to Swedish Radio P4 Väst. Also Saab AB is requesting more information from the possible buyer. "We still miss a number of important information," said Erik Magni from Saab AB. According to Magni, Saab AB is in ongoing contact with the bankruptcy administrator responsible for the brand name issue. And the discussions have intensified lately. "Yes, it has intensified the past weeks," Erik Ljungberg of Scania said. Both companies emphasize that the new owner of Saab Automobile should not have any plans that could be in conflict with the two companies' businesses. "For us it is important that the buyer has no plans to use the brand name in any way which conflicts with Scania's and our shareholders' activities," said Erik Ljungberg. The Saab farce continues. Now for a third time, Chinese Zhejiang Youngman Lotus Automobile makes a comeback. In the suitcase Youngman has a SEK 4 billion bid on Saab. "Our revised bid is for every part of the Saab bankruptcy estate, including the spare parts company. An our offer means that the government and the National Debt Office get full compensation for their debt in the bankruptcy, which means SEK 2.2 billion. Youngman also has provided evidence that the money is available," said Youngman's spokesman in Sweden, Johan Nylén said to TT. Nylén dismissed claims that Youngman would be out of the picture with regards to buying Saab. "Quite the opposite. Youngman has now accelerated its ambition to buy Saab and start production as soon as possible. We have had ongoing contact with the administrators and we now hope to be entering into intensive negotiations," Nylén said. The bid of SEK 4 billion should according to Nylén be the highest bid received by the administrators. "Youngman is convinced that it has placed the highest bid, and it has proved to have access to the money and so Youngman should be in a good position as the purpose is that the creditors get back as much as possible of their money." According to Nylén, Youngman has received a "letter of acknowledgment" from the Chinese National Development and Reform Commission, which says that Youngman is the only Chinese company which can buy Saab's assets. Swedish newspaper Svenska Dagbladet reports that the Swedish National Debt Office, with its CEO Bo Lundgren, now confirms that it will take over and run Saab Parts. In 2010 the National Debt Office (NDO) guaranteed a SEK 2.2 billion loan Saab Automobile AB took in the European Investment Bank (EIB). The collateral for the guarantee were the shares in Saab's spare parts company Saab Automobile Parts AB (Saab Parts). When Saab Automobile files for bankruptcy December 19th last year, the NDO soon after paid back Saab's loan to the EIB and in return in principle took ownership of Saab Parts. The NDO has had three alteratives to get back the SEK 2.2 billion it paid to the EIB. 1. Sell Saab Parts for SEK 2.2 billion to the company that buys the Saab Automobile bankruptcy estate. 2. Sell Saab Parts for SEK 2.2 billion to a third party. 3. Keep Saab Parts, run the company and hope that the company's profits over the years will make up the SEK 2.2 billion. The first alternative has proved difficult now that National Electric Vehicle Sweden is the most likely buyer of Saab Automobile. NEVS is not interested in buying Saab Parts and serving the current Saab owners with parts and services. The second alternative is also looking difficult since no third party will pay SEK 2.2 billion. According to SvD, Saab Parts has experienced trouble reaching it sales objectives due to difficulties distributing spare parts to the US and the UK which are two of Saab Parts biggest markets. When Saab Automobile went bankrupt it eventually also took down its US subsidiary. And with no Saab company in the US, Saab Parts had trouble distributing parts. Not untill this week a new subsidiary of Saab Parts were established in the US. In the mean time US workshops and dealers have found new suppliers, which means that Saab Parts will have trouble reaching it sales objectives. And with prospects of large future profits fading, no third party will risk paying SEK 2.2 billion for Saab Parts. The third alternative is now the alternative of choice for the NDO and its CEO Bo Lundgren. "We will take over Saab Parts AB if the buyer of the bankruptcy estate will not have the company. A buyer would today value Parts to less that we demand for the company. Reason being the restructuring and the problems with the bankruptcy at the US distributor," Bo Lundgren said to SvD. Lundgren also wants Saab Parts to start distributing spare parts for other car makes. "It [Saab Parts] has over 1,000 authorized sellers of spare parts. They could probably also supply parts to other makes," Lundgren said. The good thing about this is that of all the possible owners of Saab Parts, the NDO, which is a government agency, is the best guarantee for Saab Parts to continue supplying spare parts to all Saab cars, including the new Saab 9-5 and 9-4X. The bad news is that this means that Saab Parts will not be part of a new Saab. And if "new Saab" does not want Saab Parts, then "new Saab" is more or less not interested in the current owners of Saab cars and the history of Saab. Battery, biomass and cars. That is what the group behind National Electric Vehicle Sweden's (NEVS) bid on the Saab estate wants to start producing at Saab's Stallbacka industrial area. And all signs points to NEVS as the next owner of Saab. Yesterday the Trollhättan city manager told the media that the deal to sell Saab was done, but later her statement were dissmissed by the head of information at Trollhättan municipality. But where there's smoke, there's fire, right? Last night Swedish TV SVT reported that Chinese Zhejiang Youngman Lotus Automobile, which last week returned with an new and improved bid after being turned down by the administrators a couple of weeks earlier, now confirms that they have had no contact with the administrators lately. According to their spokesman, Johan Nylén, Youngman hasn't even gotten a response to their new and improved bid. So I guess we can count out Youngman for good now. About Indian Mahindra & Mahindra we haven't heard much for a while. From Manhindra itself, we haven't in fact heard anything during this whole process. When all is said and done, I count Mahindra also out of the picture and maybe they weren't even in the picture! One party that could become a prominent stakeholder in Saab's next phase and the future of Trollhättan is American battery maker Prudent Energy. According to TTELA, which cites a source, Prudent will start battery manufacturing for the automotive industry in Trollhättan. And the company will of course also be the battery making partner of NEVS. Prudent Energy has its headquarters in the US, but has also operations in China. The company's CEO, Johnson Chiang, is also member of the board of State Power Group, the company owned by Kai Johan Jiang - the man behind NEVS. TTELA also writes that there are plans to start a biomass production facility at Stallbacka. The company behind NEVS, National Modern Energy Holdings, is heavily involved in business concerning substainable energy sources, primarily biomass. And so it's no big surprise that they want to establish a biomass facility as well. And one can hope that the plans to make cars are just as ambitious, and that they include regular everyday versatile (hybrid) cars as well as quirky electric cars! Saab sale said to be done - or not? "That's what we know right now," Trollhättan city manager Annika Wennerblom said and continued "But we do not know when they will announce the buyer. They have said that it should be done this week, but time plans in these kind of situations are always difficult." According to Wennerblom the sale would include all of the Saab bankruptcy estate. "If and when there is news, we will of course announce it, but there is no news to announce today," said a spokesman for the administrators to Swedish newspaper Aftonbladet. According to sources of Swedish Radio P4 Väst, the buyer of Saab would be National Electric Vechicle Sweden. The Chairman of NEVS, Karl-Erik Trogen, however declined to comment on the news. "The municipal administration do not know if the deal has been concluded or not," Peter Asp told TTELA. "I can guarantee that neither she [Annika Wennerblom], nor the mayor Paul Åkerlund, nor myself have any information that the administrators have concluded their work," Peter Asp elaborated to Swedish news agency TT. If China and Japan weren't exotic enough, local Trollhättan newspaper TTELA now reports that the consortium behind National Electric Vehicle Sweden (NEVS) even has ties to the British Virgin Islands. NEVS is of course the company that wants to acquire the assets of bankrupt Saab Automobile. TTELA has investigated the ownership structure behind National Modern Energy Holdings, which owns 51 percent of National Electric Vehicle Sweden, and found that National Modern Energy Holdings is actually registered in the British Virgin Islands and not in Hong Hong as previously stated by NEVS. The company which owns National Modern Energy Holdings is however the Hong Hong based company Dragon Base Holdings. To make things interesting, when looking into these companies TTELA found that the Swede Kai Johan Jiang is the principle owner of the group of companies and has been appointed CEO of NEVS. Furthermore, the top economic planning body in China, the National Development and Reform Comission, which has to approve all considerable Chinese investments abroad, will have no say in a possible acquistion of Saab by National Electric Vehicle Sweden since Kai Johan Jiang is a Swede. According to Wikipedia, Kai Johan Jiang, born in China's Shandong province in 1965, founded State Power Group in China in 2004. State Power Group is a Chinese energy corporation doing business in substainable energy sources, primarily biomass, including bio ethanol. In 2008 he was awarded Emerging Entrepreneur Of The Year by Ernst & Young in China. "Our R&D branches in Europe are now involved in developing the second generation of biomass ethanol technology. 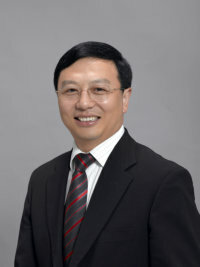 In the future, straw will first be used to extract biomass ethanol, then burned to generate power," Jiang told Knowledge@Wharton in an interview from March 2010. With such an interest in biomass ethanol, one would think that NEVS if acquiring Saab would also be interested in continued production of Biopower Saabs in Trollhättan? And Jiang is no stranger to the automotive industry. From 1993 to 2000 he worked for Volvo Group. "Before entering biomass energy in 2002, I was a senior adviser for Volvo. I made the switch after consulting with my colleague, Karl Erling Trogen - who is now a director on our board - about which industry had a bright future. We agreed that environmental sustainability was a key to a robust future for the planet and decided to establish a world-leading company in renewable energy, choosing biomass power as our main focus. In China, most farmers burn straw as unwanted waste, but the caloric value of the amount of straw burned each year is the equivalent of 500 million tons of standard coal," Jiang said to Knowledge@Wharton. The colleague Jiang mentions, Karl Erling Trogen, is a name we have already become familiar with the past weeks when NEVS was registered in Sweden with Trogen as the only member of the board. 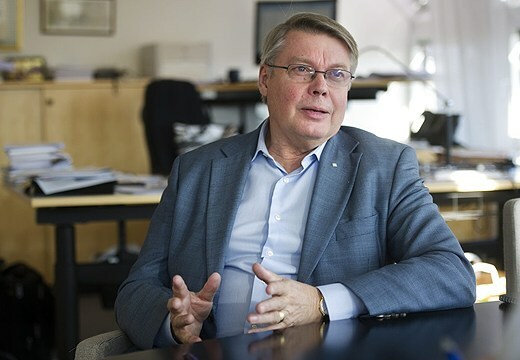 And just like Jiang also Karl-Erling Trogen has a past career from the automotive industry as former CEO of Volvo Trucks. One big question is however if Jiang has the needed money to buy and make Saab profitable, or if bringing the money to the table is the role of the Japanese venture-capital firm Sun Investment. According to the interview with Knowledge@Wharton, Jiang's State Power Group was not making any money as of 2010. "I rarely take weekends off and work hard every day. I’m passionate about what I am doing, and my colleagues share this enthusiasm. The vision that one plant can create thousands of jobs and benefit tens of thousands of farmers is incredibly inspiring. My philosophy is that if a business benefits both society and the environment, that business will be successful eventually. Senior officials in the country have recognized the significance of developing biomass energy. Today, biomass energy in China benefits farmers and the environment." "We simply want in text to publish the information we have already told the media so that everyone can take part in this," says Johan Andersson at Springtime, which represent NEVS, to TTELA. "SAAB Automobile, Trollhättan and Sweden stands for innovativeness and technology excellence. At SAAB Automobile, the engagement for future transportation solutions is pervasive." A deal for the sale of the Saab assets was supposed to be done by the end of May, but so far no deal has been announced. Today Swedish Radio P4 Väst writes that the deadline has been pushed to around midsummer, which could mean that we will have to wait another two or three weeks for a conclusion. As reported earlier, NEVS is said to not be interested in buying the Saab spare parts company, Saab Automobile Parts AB, and that might have caused the Swedish National Debt Office, which currently owns Saab Parts, to object to a sale of Saab to NEVS. Sources say that Saab Parts has had trouble reaching expected sales figures as dealers in the US have found new suppliers of spare parts. And with declining sales prospects for the future, the NDO might have become worried that it by selling Saab Parts to a third party will not recover the SEK 2.2 billion it paid to the European Investment Bank when redeeming the bankrupt Saab's loan. And thus NDO will prefer that the buyer of Saab also buys Saab Parts at the asking price SEK 2.2 billion. One company that is said to be willing to buy all of Saab, including Saab Parts for SEK 2.2 billion, is Chinese Youngman. The bankruptcy administrators terminated the negotiations with Youngman a few weeks ago, but last week the Chinese returned with a new and improved bid. Question now is if Youngman's latest bid has brought the company back to the table of negotiations or not. And what about the Indian company Mahindra? Has it given up on buying Saab and returned to India, or is it still in the game? In the right corner weighing in at SEK 4 billion, from China... Zhejiang Youngman Lotus Automobile! In the left corner weighing in at SEK 1.5 billion, National Electric Vehicle Sweden! Today is the first day of June and we still have no word on a deal to sell the Saab bankruptcy estate. Earlier this week it looked like the electric car consortium, through its newly registered Swedish company National Electric Vehicle Sweden, would be the new owner of Saab. Reports say that NEVS is still the favorite, but the negotiations seem to have run into some challenges. One challenge could be the price NEVS is offering. Reports say that it could be as little as SEK 1.5 billion. The offer does however not include Saab Automobile Parts. Offering a great deal more and wanting to buy also Saab Parts is Youngman. Their offer is said to be SEK 4 billion. The administrators main task is to raise as much money as possible so that the bankruptcy estate can pay its creditors as much as possible. And so the administrators can not simply brush aside a SEK 4 billion bid from Youngman. But the bankruptcy administrators require cash payment when a deal is signed, and Youngman must prove that the money is available for immediate payment. To make the job to reach a deal even more complex, Svenska Dagbladet today reports that a number of deals made by Saab's former parent company, Spyker Cars, on behalf of Saab, must be sorted out before a sale can be done. And that is why Victor Muller came to Sweden earlier this week. But that's not all. According to Svenska Dagbladet, also Saab's former head of design, Jason Castriota, is said to have some interest in what's going on in Trollhättan now. When he took the job as head designer at Saab and designed the Saab 9-3 replacement, he made a deal with Saab that he would get royalty payments for every Saab 9-3 sold. And now this also has to be worked out before a sale of Saab can be done. In other words, there seem to be enough challenging questions left to make the administrators workday hectic.